Supplications in Islam while being a means of communication with our Creator are not only significant for fulfillment of needs and desires but also to enhance one’s spiritual nature towards Allah (SWT). Inspired by Quran and hadith that lay great emphasis on integrating supplications to the Almighty in one’s life, the Duas.org team has made an earnest effort to provide easiest access to the enormous treasure of supplications from our holy infallibles (as)! The supplications are presented from very reliable sources such as books from great scholars as well as Sahifas of the infallibles (as) themselves; namely – Sahifa al-Alaviya, Sahifa al-Zahra, Sahifa al-Kamila, Sahifa al-Razaviya, Sahifa al-Mahdi and duas from our tenth and eleventh Imams (as). 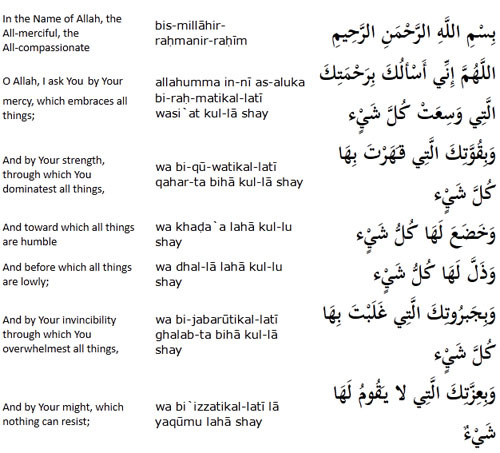 Every supplication on the site is made available in Arabic language along with English transliteration and translation. Along with the basic html version for each dua, there are PowerPoint slides, PDF and MP3 versions made available for every supplication – thus making it very convenient for e-readers and Amazon Kindle users to recite supplications at their own ease. Not only does the site provide access to supplications but also informs about recommended deeds (amaal) during important days of the Islamic year. Supplications for everyday life, after every prayer and specific purposes such as, marriage, studying, cure for health problems etc. are also available on the site. Informative articles and books on various important subjects are also present for readers to improve their knowledge and understanding about a particular event or topic. For instance, if the supplications for seeking Istikhara are mentioned the reader is simultaneously suggested to read a book on the detailed concept of Istikhara and its relevance to one’s situation. Similarly there are several books related to the topics of marriage, death and various other issues. The Duas.org apps for Android, iPhone/iPad and other smartphone users are free to download. One can merely thank the dedicated team at Duas.org for providing such wonderful and easy access to the precious gems from the holy infallibles (as)! As you enjoy reciting supplications from their site, please remember the team in your prayers so that Allah gives them best in this life and the next.